Well Mum came to visit and all I heard coming up to the visit is "what Jamie recipe are you going to cook". While we ate out most nights, one was dedicated to cooking. I decided to cook Week 3 which sadly did not turn out as well as Week 3, still not sure what happened there. As it was a special occasion I decided dessert was in order. I have had my eye on this recipe ever since I saw it and was so excited to give it a go. While it was so simple, it did not quite turn out how I expected. So much liquid at the end that the lovely crisp pastry was not so crisp anymore. Preheat oven to 200°C/gas 6. Put a 21cm diameter frying pan with an ovenproof handle on a hob over a medium heat. Add the sugar and heat to a lovely caramel colour, stirring constantly. Add the butter, ginger and cinnamon and stir to combine. Place the pears in the caramel and spoon over the mixture. 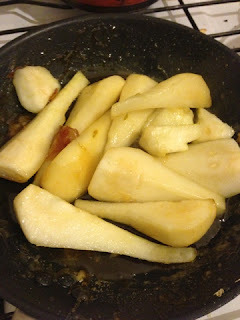 Turn the heat down and cook for 5-10 minutes, until the pears are just tender and cooked but retain their shape. Remove from the heat and cool slightly. 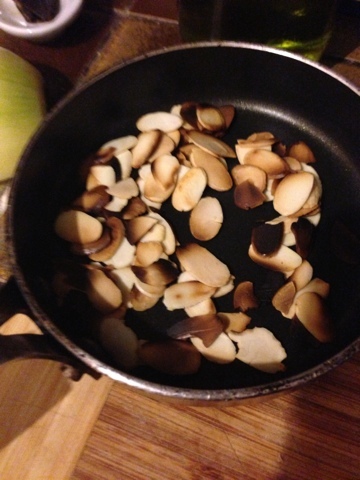 Arrange the pears prettily in the pan. 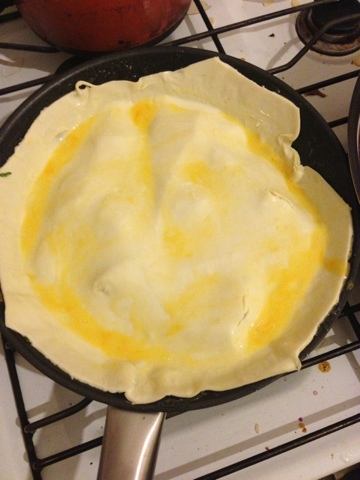 Roll out the puff pastry to about 5mm thick and cut a disc slightly bigger than your pan (about 24cm). Place the pastry disc on top of the pears and caramel, then carefully tuck it snugly around the outside of the pears and down into the sides of the pan. 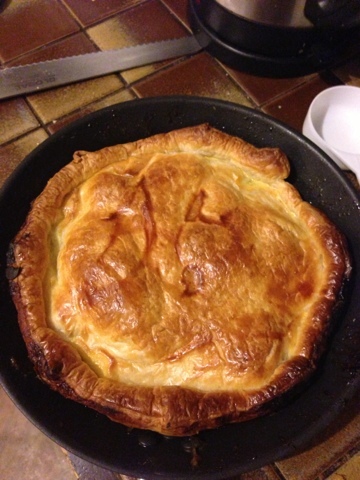 Bake the pie for 30–40 minutes, or until the pastry is golden brown and puffed up. Remove from the oven and leave for 10 minutes. 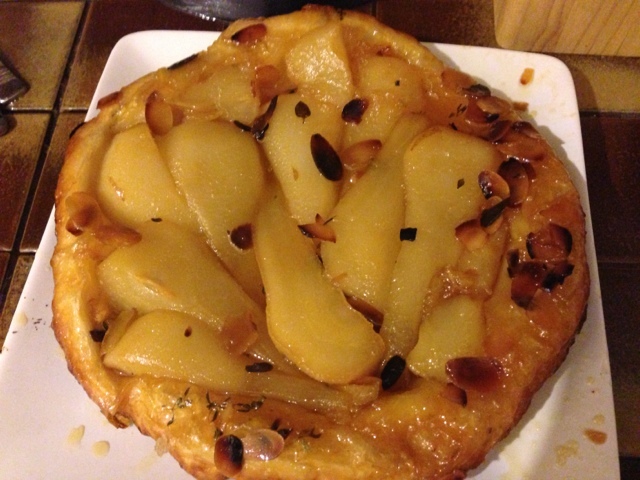 Run a knife around the edge, place a large plate over the top and carefully turn the tart onto the plate. Serve with double cream. Results: A little disappointing, I have not have much experience with caramel which could have been the reason, perhaps it needed a little longer to thicken up. I ended up with a beautiful tarte when it came out of the oven but unfortunately it ended up quite soggy as there was so much liquid. Other than that the taste was amazing. It was so quite and easy to prepare.. I think I just need some practice!